Michelle Seitzer is a well-known voice in the online caregiving world. She has written for many different publications and organizations that serve seniors and family caregivers across the country. Michelle's site was originally constructed with Squarespace. She wanted to create a more functional online space where she could build a community of support around caregivers who find her online. caregivingadvice.com is a perfectly responsive, functional WordPress site which includes a vibrant blog channel (Voices), a robust resource library, and an interactive directory of women-owned caregiving ventures. A huge feature of the project was the CareCreative Catalogue, an interactive directory of women-led ventures. All of the ventures include women who are present or past caregivers. 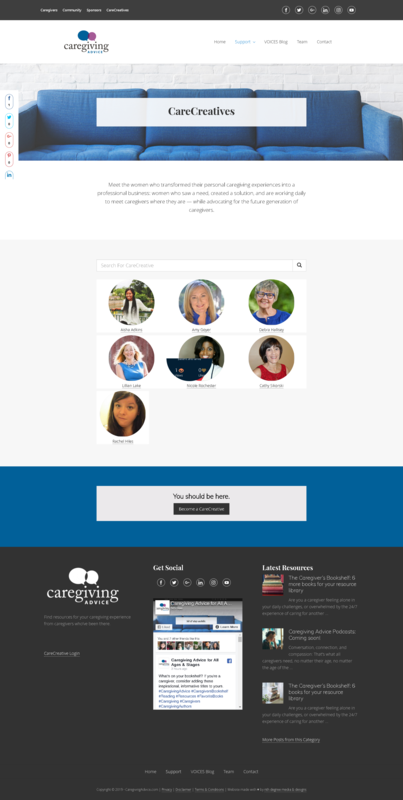 CareCreatives can sign up and purchase a CareCreative accoutn at CaregivingAdvice.com that will generate leads for their business, boost their SEO, and plug them into a national network of fellow family caregivers turned entrepreneurs and thought leaders. Most of the updates on the website are taking place within the post/blogosphere on the site. 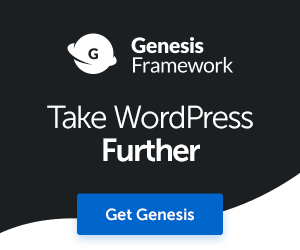 The robust Resources section of the website is powered by the WordPress taxonomy structure. Using categories, we are calling specific posts to each resource type across the site. nth degree worked with the project partner throughout the process to figure out her sales funnel process and how her site could help her generate leads for clients, CareCreatives, and sponsors. caregivingadvice.com is integrated with the project's social media channels so that news updates are automatically shared to followers.